True beauty resides in simplicity, not as a starting point but as the result of a continuous process of thought and refinement. Reaching this implies delving deeply into essential aspects that are often overlooked. For example, understanding that each element must add without taking away, occupying just the necessary space for it to perform its function. 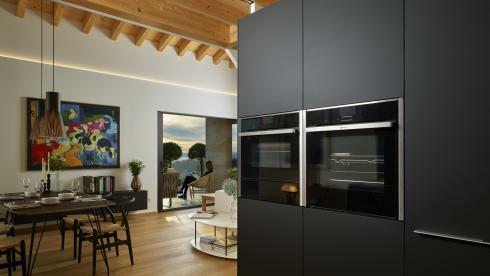 The furniture helps create homes that are more harmonious and habitable from their heart: the kitchen. 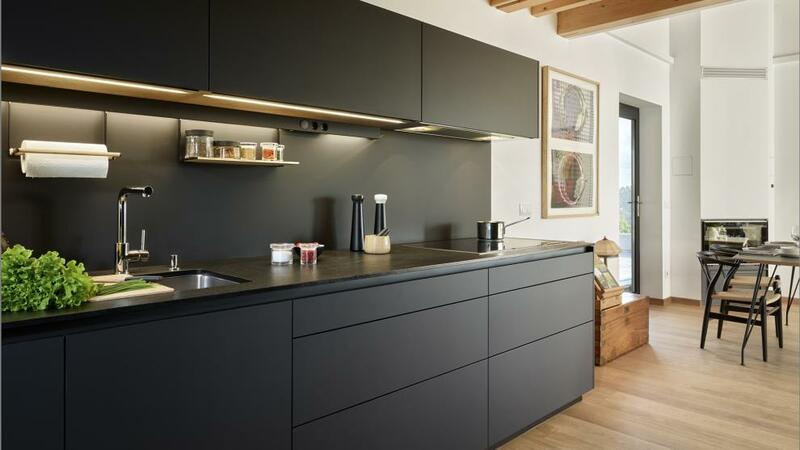 Reducing the thickness of the fronts and sides makes it possible to create kitchen cabinets that are more stylised, lightweight and elegant. This makes it possible to minimise their impact on the house’s architecture without losing capacity or resistance. The pure shapes and plain fronts provide simplicity. The integration solutions provide discretion. The super-matt and anti-fingerprint finish, provides a beauty that is not only seen but also felt. The cabinets must make it easy to classify, locate and access the contents of a kitchen. The structure of the base units, with three levels of drawers, is an effective response from Santos to fulfil that need. 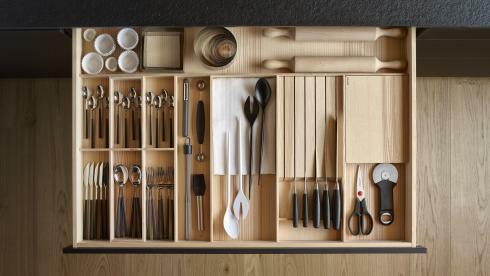 The top drawer, made in olive ash, is lighter and has more capacity for keeping the kitchen utensils that are most frequently used. 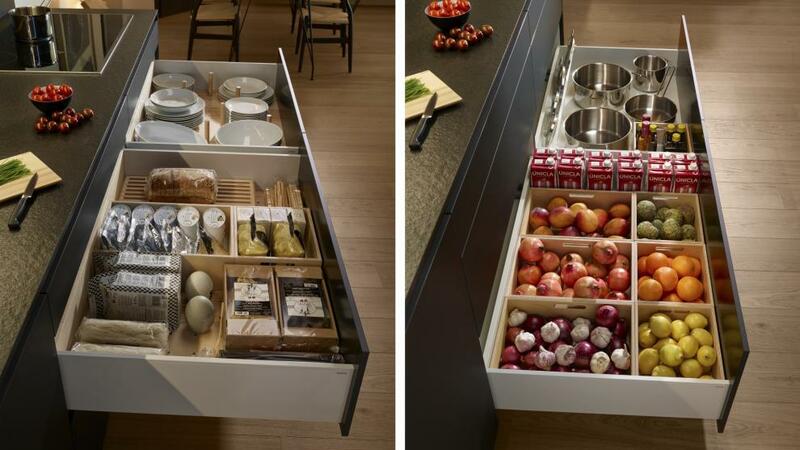 The pull-out accessories make it easy to clean the drawer. 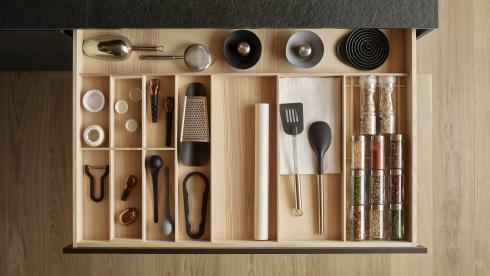 The interchangeables, such as the knife or spice rack, adapt to the users’ tastes and needs. 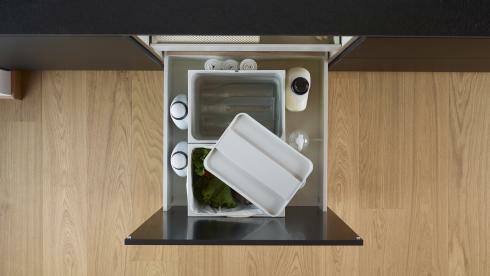 The double drawers make it possible to classify food, tableware and large items such as pots and frying pans. Their sides are the same colour as the body of the unit, creating an aesthetically uniform composition. 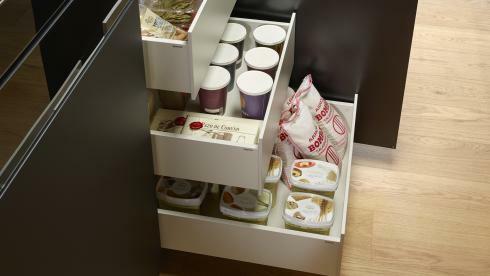 The interior drawers found in the base area of the tall units, also help in the organisation and location of contents. 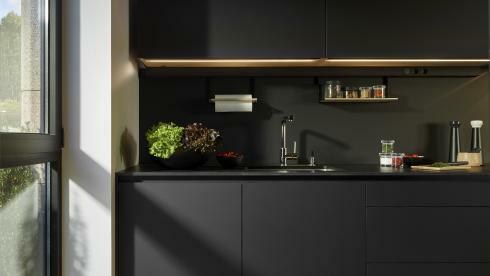 The sink unit brings together recycling bins and an interior drawer for storing cleaning utensils in a reduced space. 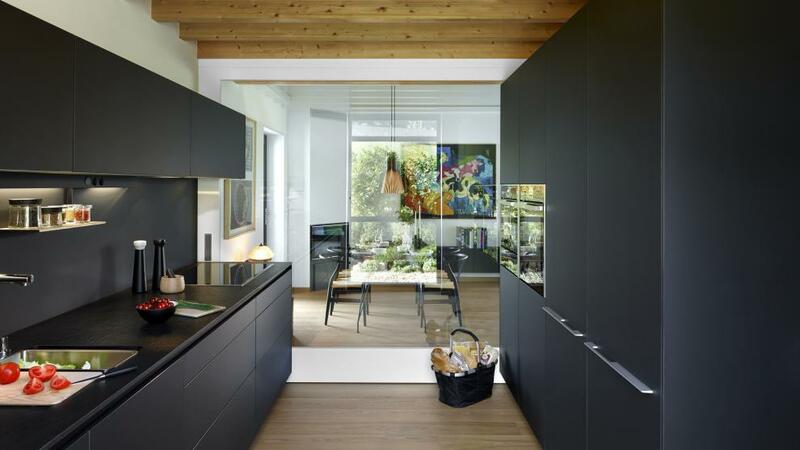 The parallel layout of the cabinets favours the entrance of natural light into the room. 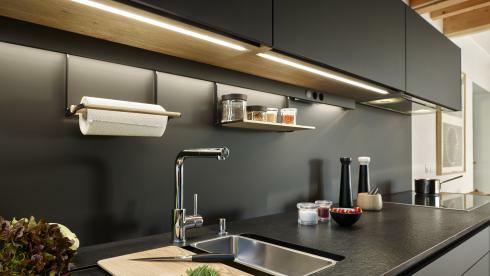 The integrated, discrete and practical, lighting solutions make tasks easier and act as ambient lighting. 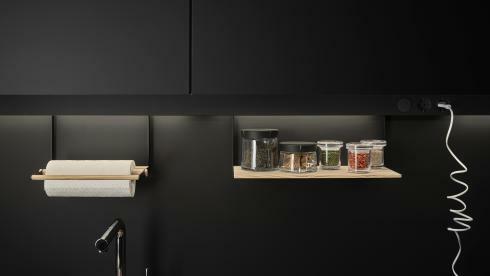 The LED lighting, built into the base of the wall units, offers light that is continuous, uniform and doesn’t dazzle. Santos’ exclusive LED profile, that can be customised with decorative panels, incorporates electrical sockets and a slit for accessories.